We kicked off February by releasing a new version of the Power BI Premium Capacity Metrics app to include new system metrics for workloads and total active dataset size in memory. The latest version (1.10.1.1) of the app provides a comprehensive view of workload operations such as dataset and dataflow refreshes, dataset evictions, dataset queries, paginated report data retrieval/execution, and system metrics in the capacity for the past seven days. Don’t miss out – try it out for yourself by installing the app or learn more about the latest update here. You asked, we delivered. 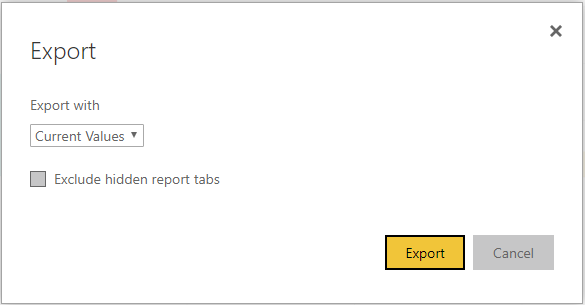 We added a new feature in the service that allows you export any of your Power BI reports to a PDF document. All you need to do is locate the File menu in the report action bar, open the dropdown, and you’ll see the new option to Export to PDF. Once you select it, the PDF will be generated and downloaded for you! By default, we will be exporting the Current Values, which is what you see on the screen along with any other changes you’ve made across the report during that session. 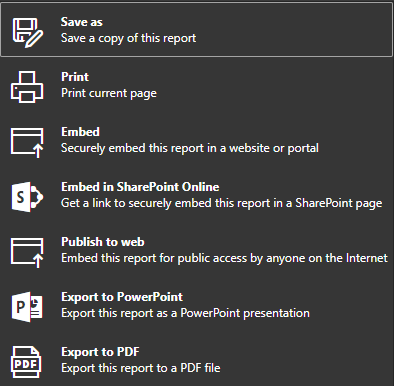 Learn more about export to PDF and filtered export. We made it much easier for admins to perform repetitive tasks efficiently. 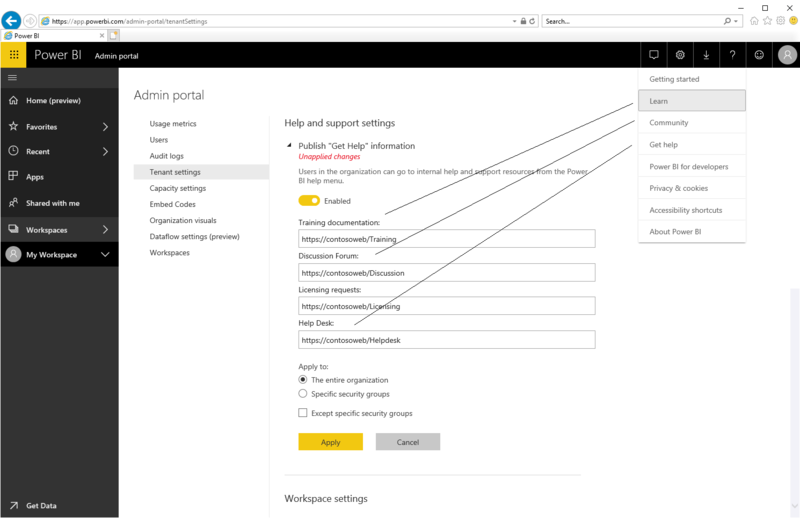 You no longer need to resort to PowerShell scripts to assign a user to multiple workspaces or delete hundreds of infringing embed codes, with the recent improvements in the admin portal, you can perform all of these tasks in a single operation. Check out the announcement blog to walk through an example of how you can use bulk operations for workspaces. 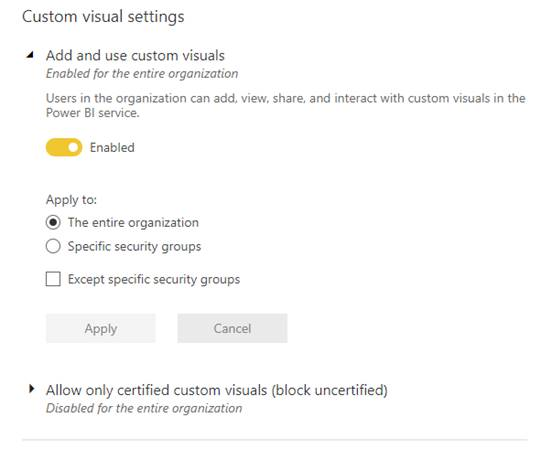 Visio visuals – We enabled Single sign on (SSO) in Visio visuals. There are no additional sign-in steps required when viewing report with Visio visual in the mobile apps. Dashboard commenting in Power BI Mobile Windows app – We lit up the awesome commenting feature on dashboards on the Windows app that allows users to discuss their data directly on dashboards or specific tiles within them. Support for new iPad Pro – We updated the iOS Power BI app to be optimized for the newly released iPad Pro, both 11 and 12.9 inch layout. We released a new Power BI Premium Deployment and Management whitepaper (authored by Peter Myers) to help you successfully deploy our solution within your enterprise. It covers multiple topics such as deploying, scaling, troubleshooting and managing a Power BI Premium capacity. Check it out here.